5 Celli. Faure, Le Secret and Mahler, Liebst du um Schonheit, from Ruckert Lieder. Faure is difficult vocal line with mostly easy chordal accompaniment. Mahler is difficult in the top 3 lines that go up into tenor and treble clef, while the lower 2 remain in bass clef. 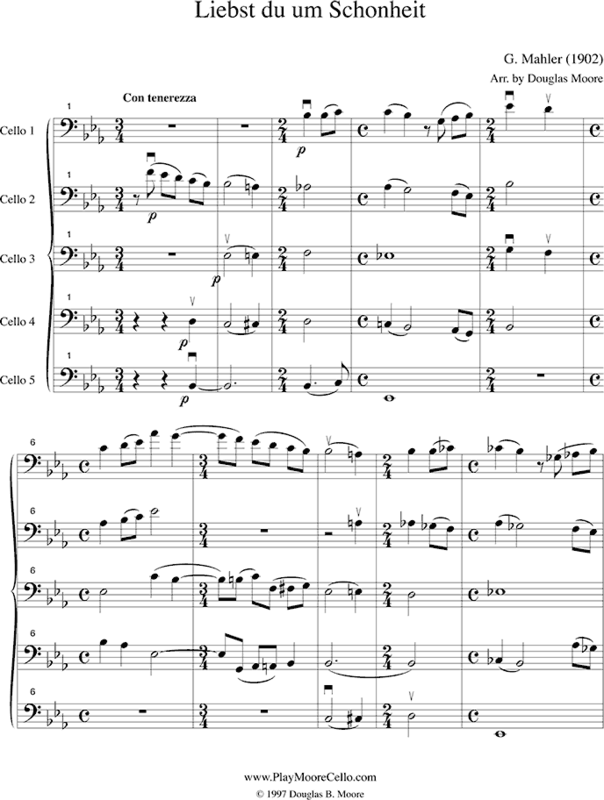 Score and 5 parts. Recording is a student quintet playing the Mahler.